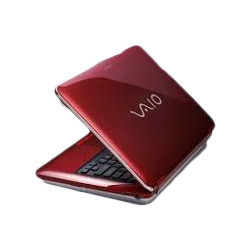 Our clients can avail from us a wide collection of best quality Sony Laptop. These products are made from high quality components. Established in the year 1998, Global Infocare is known to be one of the foremost traders, suppliers and service providers of this highly admirable range of Computer AMC Services, Repairing Services, Renting Service, Computer Accessories, Computer Printer, LCD Monitor, Antivirus Software, Tally Software, Window Software, Desktop Computer, Computer TFT Monitor, Computer UPS, Computer Peripherals, Branded Laptop, Laptop Screen Hinges and many more products, which are highly applauded and asked for in the market. The provided products are manufactured in agreement with the industry set values, utilizing quality material and progressive technology. Due to this, the product’s capacity, performance, and service life is widely acclaimed. Additionally, the provided products are economically priced and delivered to the patrons in less turnaround time. As well, our product range is also can be customized as per requirement and needs of clients.